There is a rockshelter, at Painted rock that has painted pictographs on the walls. 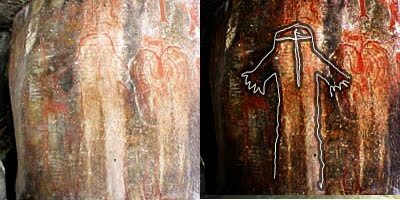 The pictographs include paintings of a male, female, and child Bigfoot (known as the family). Nobody knows more about the history and legend behind these pictographs than Kathy Moskowitz Strain. If you live near Porterville California you are in for a treat. Kathy will share her research regarding the creation myth involving the hairy creatures painted on these walls. Was Big Foot at the Reservation? 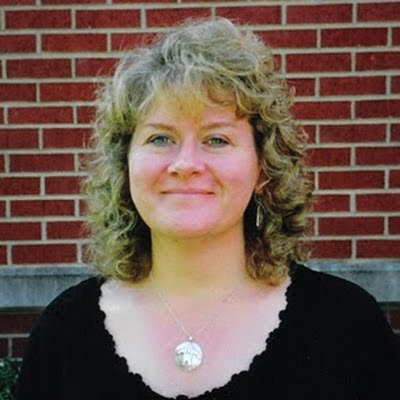 A special presentation “Bigfoot and Native Culture: with Kathy Strain, Heritage Resource & Tribal Relations Programs manager for the Stanislaus National Forest” will be held from 7 to 8 p.m. Friday in the Porterville College Theater at Porterville College, 100 E. College Avenue. Sponsored and hosted by the Cultural Historical Awareness Program (CHAP) at Porterville College, the program is free and open to the public. Strain, who attended Porterville College in the late 1980s, became interested in the art and oral traditions of the local Native Americans while growing up in Porterville, especially as they pertain to the “Hairy Man” or “Bigfoot” images found on the Tule River Reservation and around Painted Rock. “As a trained archaeologist, she has expanded her initial interests to include Native stories, dances, and artwork from throughout North America, hoping that they may shed some light on the controversy surrounding the existence or nonexistence of some type of creature who roams remote regions of our continent,” said Will Lloyd, Porterville College Public Information Officer. Painted Rock is located on the Tule River Indian Reservation above Porterville. The site, also known as CA-TUL-19, is a rock shelter associated with a Native American Yokuts village and is located immediately adjacent to the Tule River. It includes bedrock mortars, pitted boulders, midden and pictographs which are located within the rock shelter and are painted on the ceiling and walls of the shelter. 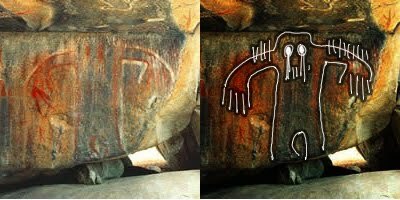 The pictographs include paintings of a male, female, and child Bigfoot, coyote, beaver, bear, frog, caterpillar, centipede, humans, eagle, condor, lizard and various lines, circles, and other geometric designs — all done in red, black, white and yellow. This rock art site is unique; not only because it contains a Bigfoot pictograph, but also because of the traditional Native American stories that accompany it. There are no other known creation stories involving a Bigfoot-like creature in California, and as far as can be determined, there are no Bigfoot creation stories anywhere else in the west. There is also no evidence of any other Bigfoot pictographs. Most states, including California, keep a database of all recorded sites located on federal, state, county, city, or private land. Based on that information, there is no other known Bigfoot pictographs or petroglyphs anywhere in California, Washington, Oregon, Nevada or Idaho. The most dominant pictograph at Painted Rock is that of the ‘Hairy Man,’ also known as Mayak datat. Though the picture measures 2.6 meters high by 1.9 meters wide, it represents an 8.5-foot high, two-legged creature, with its arms spread out to six feet wide. It also has what appears to be long hair and large haunting eyes, which the Yokuts identify the lines coming from the eyes as tears. The pictograph is in very poor condition due to weathering and vandalism. A Hairy Man petroglyph is present at the site as well. Petroglyphs are very rare in the Sierras, reported Lloyd. 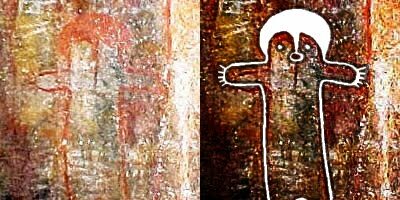 In 2003 Kathy presented at the International Bigfoot Symposium, it was titled "An Archaeological Viewpoint of the Hairy Man Pictographs." Thankfully the folks at the Bigfoot Information Project have the written version of the presentation. Please read Kathy's amazing report. Those aren't tears coming from its eyes...it's light! JP that is actually a fascinating observation. Anybody who has played Pictionary or the iPhone app Draw Something, knows that the most subtle of lines can be misinterpreted. What if the pictograph was really trying to indicate eye-shine?